These ports are designed to assist aerosol injection into ducting or HVAC units for aerosol sampling of the upstream particle concentration. Designed to meet ISO 14644-3, ATI’s fixed installation ports can be added to new or existing installations to mitigate the risk of infection and exposure of non-filtered air into the clean space by eliminating the need to remove ceiling tiles for leak testing. 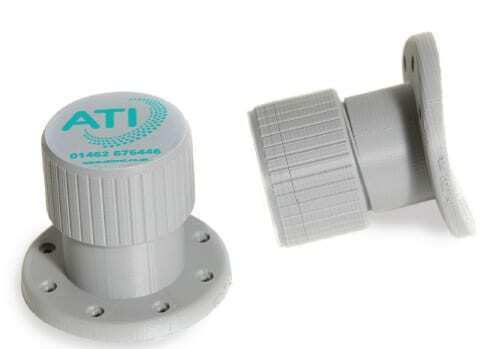 ATI’s Filter Leak Test Accessories are uniquely designed to significantly reduce the time and expense of certifying cleanrooms. 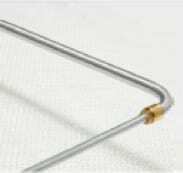 Fixed aerosol injection ports can be easily installed to a ceiling duct in a clean room or an adjoining room that feeds the cleanroom. Fixed aerosol sampling ports allow air-tight connections to the photometer for sampling upstream aerosol challenge from a fixed ceiling point. Safe-change (bag-in-bag-out) filter installations have traditionally been tested volumetrically, but this test is much less sensitive than the scan test. There may be defects in a HEPA filter installation that will pass the volumetric test, which could compromise safety or the environment. To allow a scan test for filter which are difficult to access, ATI has developed an improved scan test with our T- and L- Scanning Probes. 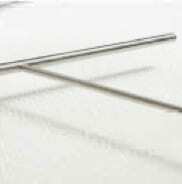 Designed for permanent installation, the T-Scanning Probe is usually installed at point of manufacture but also can be retrofitted. The sample probe is sealed to the filter housing and our photometer sample tube is attached to the probe shaft. The L-Scanning Probe is inserted through a permanently installed port for the HEPA filter test. The sample probe is sealed to the port and the photometer aerosol sample tube is attached to the probe shaft. 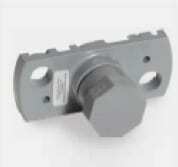 Designed for temporary installation and is inserted through a permanent port at time of test. To insert the L-Scanning Probe for scanning difficult-to-access filters, a fixed port should be installed to the filter housing. Since 1961, Air Techniques has been the leading designer and manufacturer of specialized testing equipment for HEPA filters, media, filter cartridges, respirators and protective masks. Air Techniques manufactures a comprehensive line of test equipment from small portable units for on-site certification up to the largest systems used by major producers and testing laboratories for testing filters, respirators and protective masks.